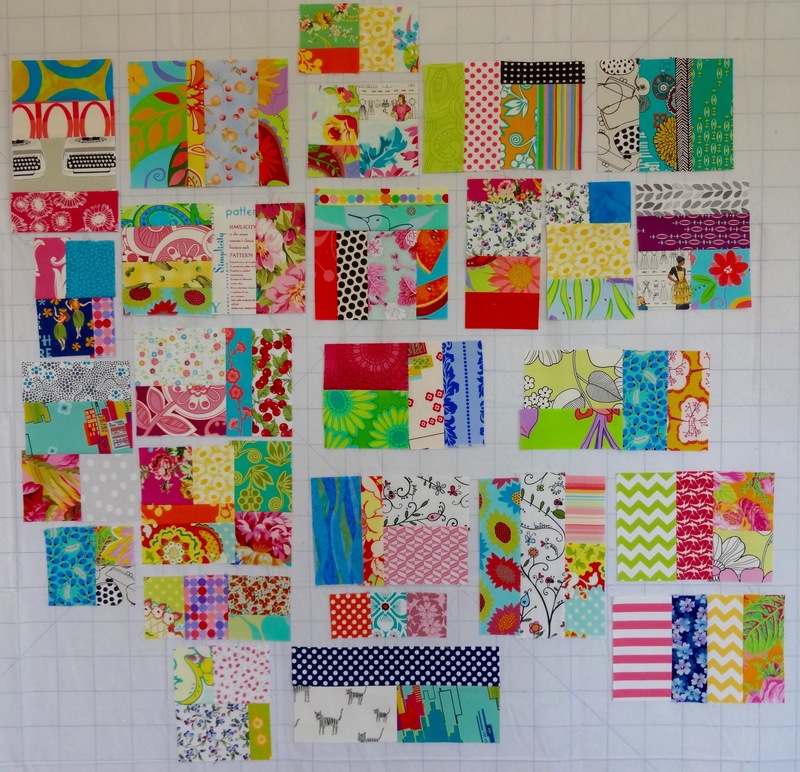 This past week has been a whirlwind of activity with little time to work on the scrap quilt- a-long. I’ve been sewing pairs to pairs. Here is what’s on the design wall. I love the serendipity of the the hummingbird head just peaking out over the seam. 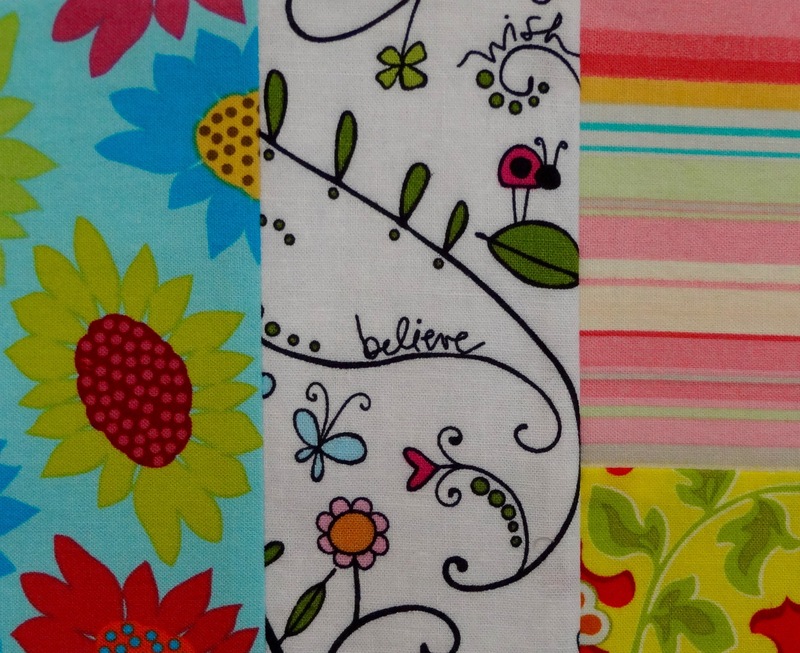 Believe – yes, I believe that I will get this quilt done! The cat print by Melody Miller for Cotton & Steel fabrics. Part of the Black and White collection. The city skyline by Francis Newcombe for Art Gallery fabrics. Part of the Utopia collection. 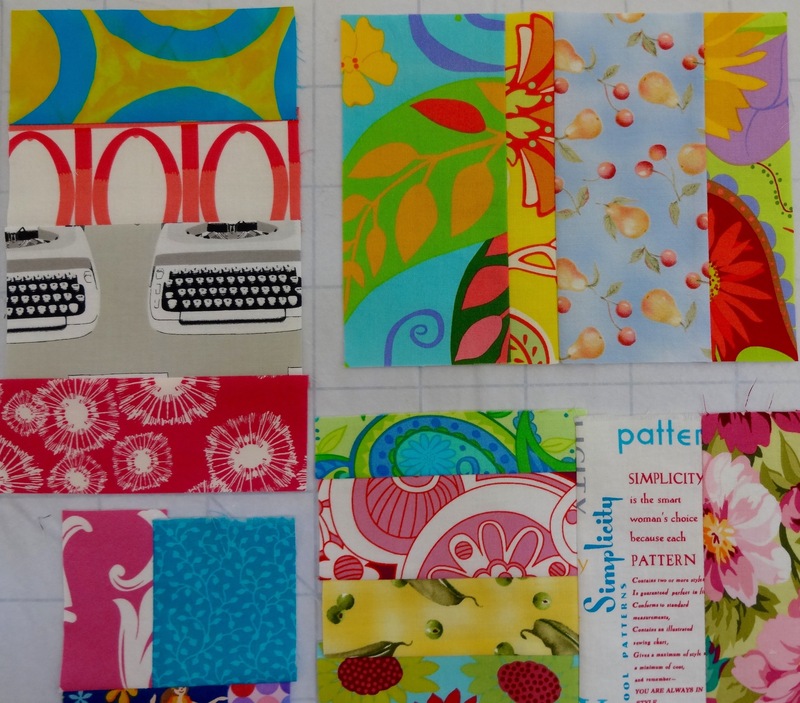 I found quite a few florals, fruit and vegetable prints in my stash. I saw something in one of Kaffe Fassett’s books years ago using a mixture of flowers and fruits/vegetables, I think it was called garden rows. 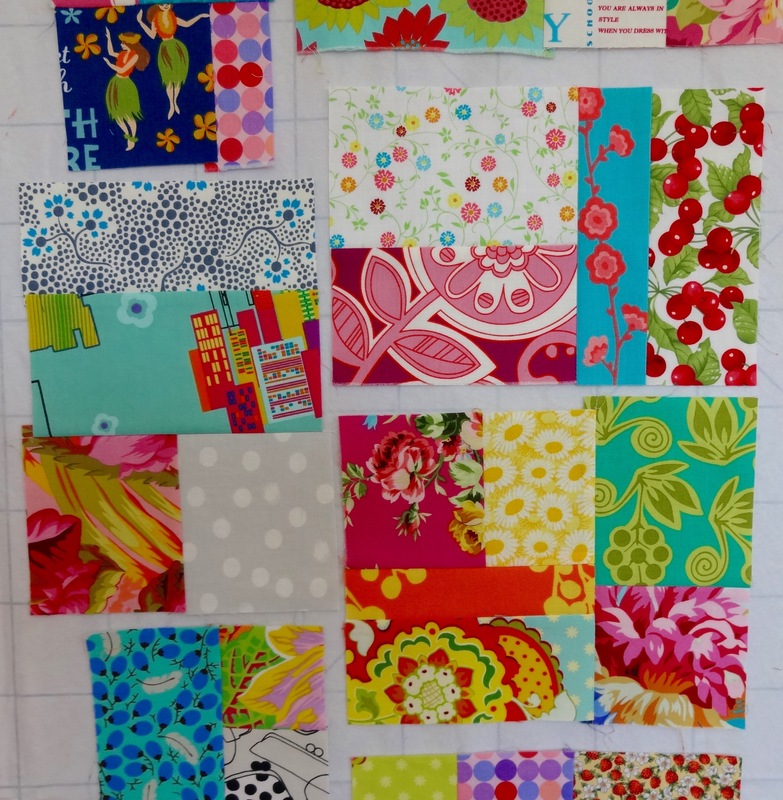 Well, that quilt never happened so these pieces are now rows in a scrap quilt. I love the pink swallows, also part of the Utopia Collection by Francis Newcombe. 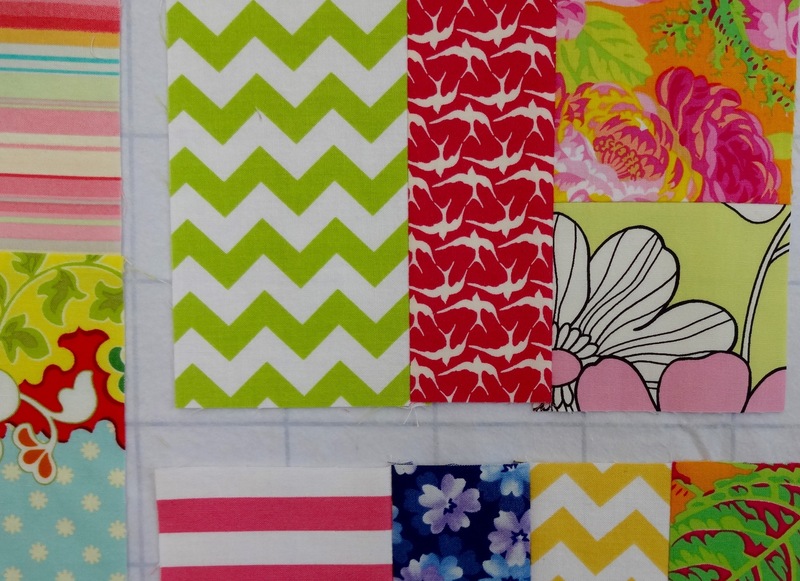 You can also see some Kaffe Fassett florals and Riley Blake chevrons and stripes. The pink basket of pairs waiting to be sewn. 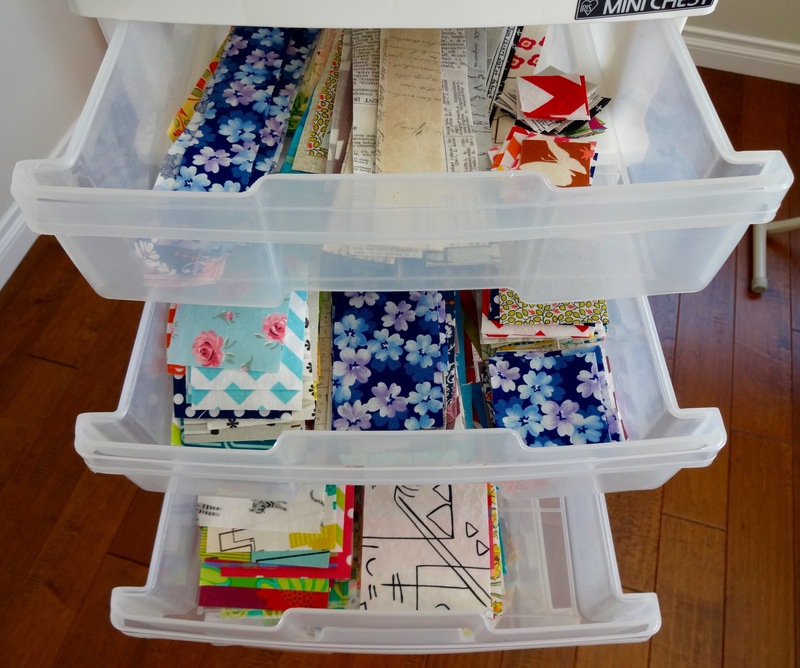 And the roll away bin with 1.5″, 2.5″ and 3.5″ strips and squares waiting to be paired up. 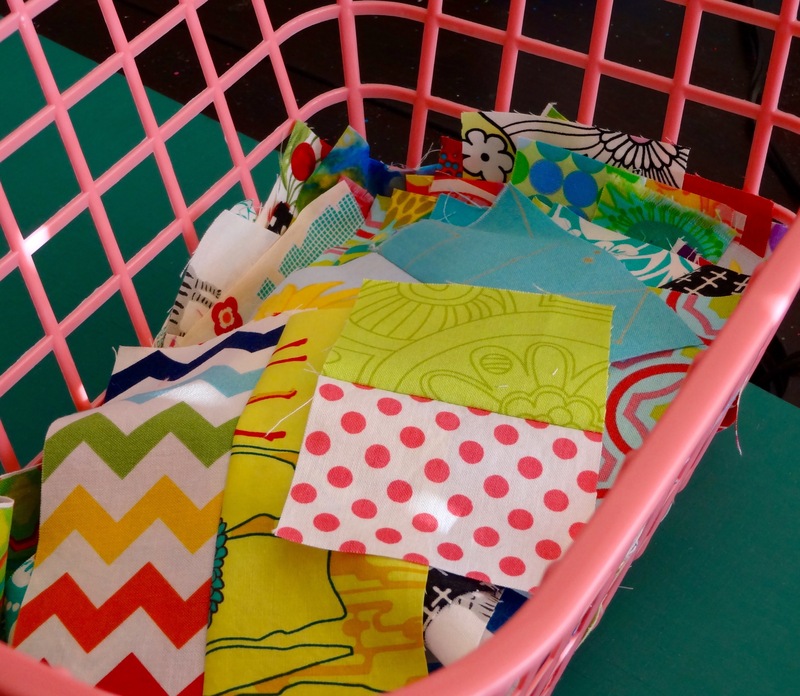 I think this is where I spent most of my “quilt” time this past week, cutting strips and squares from my stash. I have a pretty random supply of colors and patterns and I have removed ugly fabrics from my stash. It feels great to finally let go of those and move on. I hope you had a creative week. Keep it simple and colorful! 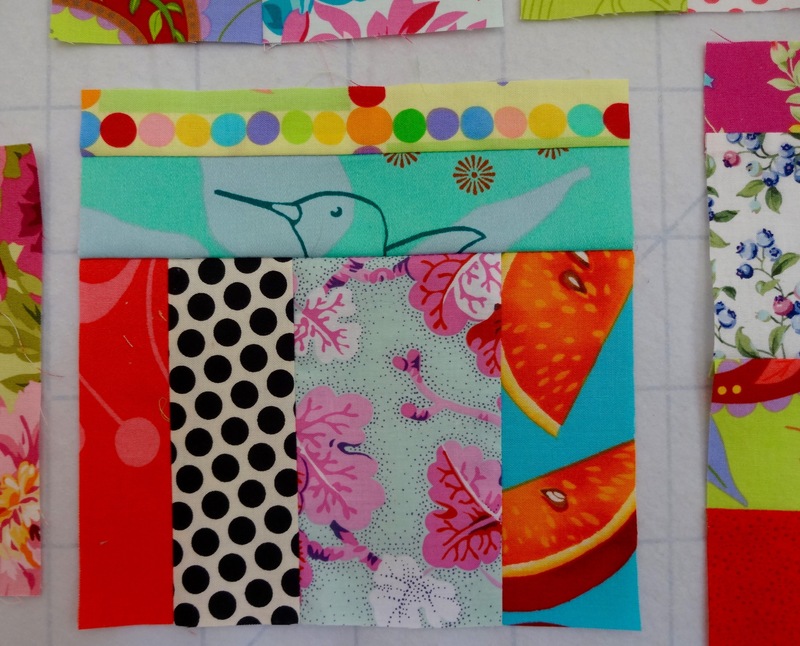 This entry was posted in 2015 and tagged quilting. Bookmark the permalink. How beautiful! I found a bag of 4 inch squares of fabric in my shed that I put away years ago after doing a project with my college class. I’m going to get working on those scrap pieces and try to make something beautiful also. You are making me want to sew pieces of fabric together! I cleared out a lot of my leftovers last week too–cut them into one inch strips and sold them for knitting into rugs!